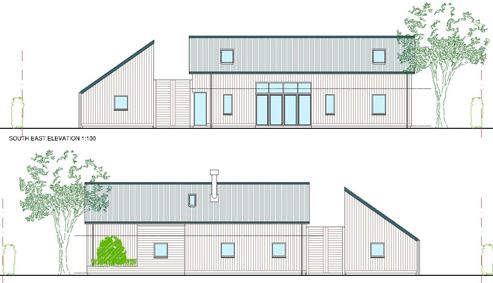 We received planning permission for a new build Passive House which is to be designed and built to the highest standards for energy and sustainability. 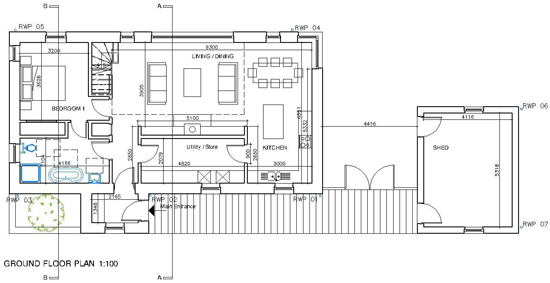 We worked closely with the client to identify their requirements for energy efficiency, comfort and living standards and came up with a layout that was both simple and rational yet the main living area is a lively and light filled open plan space. The first floor gallery and large windows afford natural light and views in all directions.